People use the word honour all the time, but do we really know what it means? As part of the project, photography and writing students asked members of the Kwantlen First Nation if they could take photos of them. The students were welcomed, and as a result they were left with many masterpieces which have been blown up and are on display all over Fort Langley. A series of them are on the outside walls of the Fort Langley National Historic Site. The photos are visually stunning and contain a short description of the individual. But what makes them even more beautiful is the meaning behind the photos. These portraits pay tribute to the Kwantlen First Nation, one of four unceded territories, whose land the Langley School District sits on. “It is significant to us to show everyone how much Kwantlen means to the greater community. 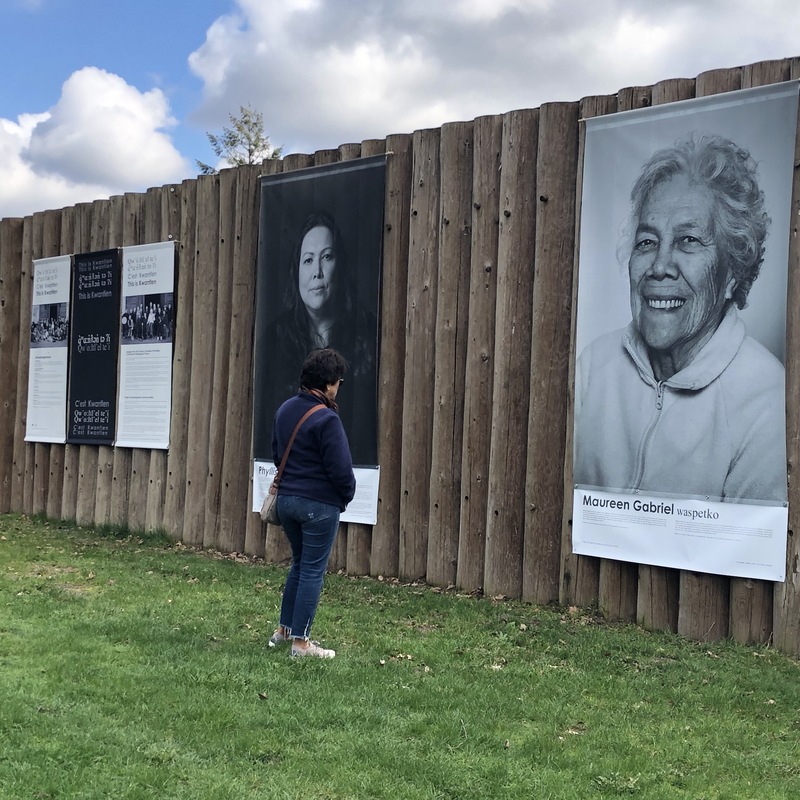 Your portrait on your land is a reminder to us all, that the Kwantlen people have been here since time immemorial, and that you are still here,” said Forest, a Langley Fine Arts student at the opening ceremony of the portrait exhibit on Friday afternoon. It was an emotional tribute for many of the members of the Kwantlen First Nation. Some expressed how they never would’ve imagined seeing a project like this in their lifetime. “You’re demonstrating to our young ones that they’re valued, and that they’re cared for!” praised Chief Marilyn Gabriel, who was one of the people photographed. A line of speakers followed, all of them expressing their appreciation to the students for their time, effort, and show of respect. “You’re taking a giant step in humanity and it shows in your work,” said First Nation Elder Lekeyten. It’s also a step on the journey to Reconciliation. The portrait exhibit runs through April and May.